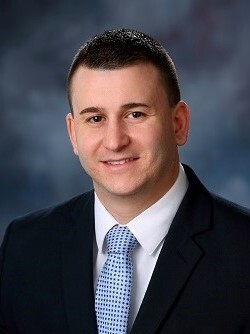 Andrew DiNuccio joined NEIRG in March 2018. He assists clients with setting up new accounts and transferring money into suitable investments. He ensures NEIRG’s client accounts are properly set up and that all client needs are met. He is often one of the first people our clients will speak with as he answers many incoming phone calls from clients. Andrew is currently pursuing a Master of Business Administration with a concentration in Finance at Van Loan School of Business by Endicott College. He enjoys golfing, scuba diving, and playing basketball, soccer and baseball. He also enjoys hiking with his dog, Leo.